We are excited to feature YA author Elizabeth Tammi and her YA novel, OUTRUN THE WIND (FLUX). Be sure to enter to win a copy at the end of this interview! I'm currently a student at Mercer University double-majoring in (surprise!) creative writing and journalism. I turned 20 earlier this year, so OUTRUN THE WIND was written while I was still a teenager. All throughout middle and high school, I was absolutely (and still am) obsessed with YA literature! It felt natural when I first started writing my own stories at around 16 that they would also fall under the YA category. For me, it was easier to write about characters close to my age-- it wasn't difficult to empathize and comprehend them. I'm no longer a teen, but as I continue to write I think I'll likely stick within the YA realm. It's the genre I grew up alongside and truly fell in love with. 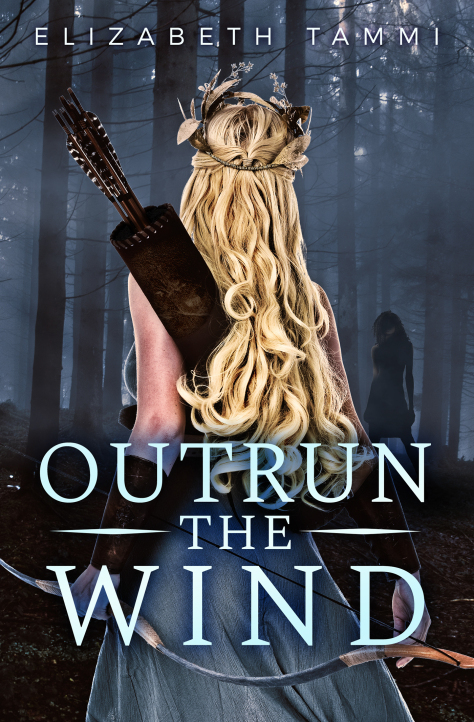 Congrats on your debut YA novel, OUTRUN THE WIND. Tell us about it and what inspired you. OUTRUN THE WIND, in short, is a fantasy novel that offers a sapphic reimagining of the story of Atalanta from Greek mythology. If you're not familiar with Atalanta, just know there's a deadly footrace, mysteriously powerful golden apples, and lions. Anyway, as a longtime fan of mythology, I straddled a strange sense of admiration and confusion in regards to Atalanta's story. I liked her, but was puzzled by some of her decisions and a lot of the events that unfolded. I needed to make her life make sense to me, and from that confusion, OUTRUN THE WIND was eventually born, with plenty of its own characters and conflicts. Who would you cast in your book's movie? Honestly, I don't think I have any solid castings on my characters, but there are a few actresses that vaguely look like my mental understandings of them. A teenaged Gaia Weiss might be a good Atalanta, and a teenaged Kylie Bunbury could play Kahina! So many good ones have come out this year! I'm still reeling from Kiersten White's BRIGHT WE BURN, the riveting conclusion to her incredible trilogy The Conquerors Saga. I also adored these funny, heartwarming debuts from two lovely debut British authors: THE EXACT OPPOSITE OF OKAY by Laura Steven and BOY MEETS HAMSTER by Birdie Milano. It felt long and windy while I was in the thick of it, but I realize now looking back (and after hearing other authors' stories) that I had a pretty short ride. I've been writing seriously for around three or four years, and have written two manuscripts in that time. The first one was terrible, and I felt like a failure. But I ended up learning so much from the act of just finishing the story, that I feel like I had an easier time writing the book that would become OUTRUN THE WIND. From the inception of OTW's idea to its publication date of November 27, 2018, just about 2.5 years will have passed. It feels like a while, but I know in the long run (especially in the publishing industry) this was a blink. I have so much respect for my fellow 2018 debuts, many of whom have queried or subbed with upwards of five or six books before landing their first deal. What are the one or two best things you did for your career? What advice would you give to other aspiring authors? 1) When I drafted, I drafted every day. Not necessarily a lot, but I stuck with it and made a concentrated effort to push forward with my story. I wrote at the very least three sentences a day, and it ended up pushing me further faster than I thought it would. 2) When I was ready to query OTW, I attacked it from all angles. I traditionally queried via email, I pitched agents at conferences, I attended workshops, and I joined the writing community on Twitter. It helped me feel like I was making a big effort, and I got great feedback and learned so much from all those ways. In the end, the deal came as an eventual result of the contest #PitMad-- my now-editor saw my book's pitch, and invited me to traditionally query her. About ten months later, after a partial then full request, the contract was signed. I'm a singer! I'm in my college's acappella group, and all throughout my teenage years I was heavily involved in chorus, show choir, and musical theatre. Last year I even got to sing at Carnegie Hall as part of the Mercer Singers. You can follow me on my YA blog on Tumblr, "The Extraordinary Worlds". Or, find me on Twitter or Instagram! 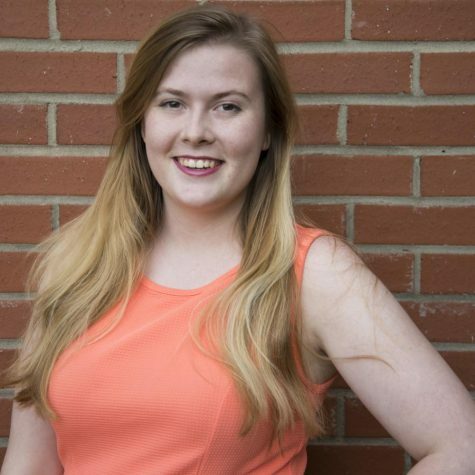 Elizabeth Tammi was born in California and grew up in Florida, but is currently double-majoring in Creative Writing and Journalism as an undergraduate at Mercer University in Georgia. When she’s not writing, you can probably find Elizabeth at rehearsal for one of her vocal ensembles, or at work for her university’s newspaper and literary magazine. Her other interests include traveling, caffeinated beverages, and mythology. Outrun the Wind is her debut novel. You can find Elizabeth online on Tumblr at (annabethisterrified), Twitter at (@ElizabethTammi), Instagram at (elizabeth_tammi), and at elizabethtammi.com. I love your vision to re-imagine Atalanta. Can't wait to read this. Congratulations! What a fun success story! Look forward to reading you new book! I'm not sure I'd use "sapphic" to describe a YA fantasy novel about a footrace. I think the word is usually used to describe something quite different. But it sounds like a good tale! Congratulations on your debut! The cover and title are excellent. I love that you are a singer and performed at Carnegie Hall. I'm excited to read your book. Congrats on your debut! I’m a big fan of reimagined mythology so I’m eager to read your book!